Audience: Armed Professionals or civilians. This is a Pistol and AR-15 course for people who want to learn a way to systemically search a structure (home, workplace, etc) to look for loved ones or criminals when time is of the essence. Also for those wanting to learn close quarters shooting skills, room entry/search techniques and the ability to conduct room clearance solo. 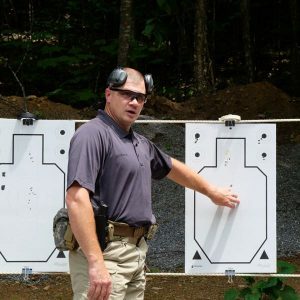 Classroom instruction and practical exercises on the range will provide the student a solid understanding of one of the most complex areas of protection. During the course, all participants will learn the terms, techniques, and procedures to make them successful in room to room clearing or search and rescue after a shooting.